The self-assembly in solution of original structures of amphiphilic partially natural copolymers based on polyoxazoline [more precisely poly(2-methyl-2-oxazoline) (POx)] and grape seed vegetable oil derivatives (linear, T-, and trident-structure) is investigated. The results show that such systems are found, using dynamic light scattering (DLS), to spontaneously self-organize into monomodal, narrow-size, and stable nanoparticles in aqueous medium. The obtained hydrodynamic diameters (D h) range from 8.6 to 32.5 nm. Specifically, such size increases strongly with increasing natural block (i.e., lipophilic species) length due to higher hydrophobic interactions (from 10.1 nm for C19 to 19.2 nm for C57). Furthermore, increasing the polyoxazoline (i.e., hydrophilic block) length leads to a moderate linear increase of the D h-values. Therefore, the first-order size effect comes from the natural lipophilic block, whereas the characteristic size can be tuned more finely (i.e., in a second-order) by choosing appropriately the polyoxazoline length. 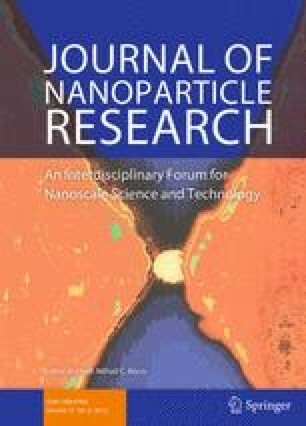 The DLS results in terms of characteristic size are corroborated using nanoparticle tracking analysis (NTA), and also by atomic force microscopy (AFM) and transmission electron microscopy (TEM) imaging where well-defined spherical and individual nanoparticles exhibit a very good mechanical resistance upon drying. Moreover, changing the lipophilic block architecture from linear to T-shape, while keeping the same molar mass, generates a branching and thus a shrinking by a factor of 2 of the nanoparticle volume, as observed by DLS. In this paper, it is clearly shown that the self-assemblies of amphiphilic block copolymer obtained from grape seed vegetable oil derivatives (sustainable renewable resources) as well as their tunability are of great interest for biomass valorization at the nanoscale level [continuation of the article by Stemmelen et al. (Polym Chem 4:1445–1458, 2013)]. Dedicated to Professor Georges Hadziioannou (Université de Bordeaux I, France) on the occasion of his 60th birthday. This research project was supported by the French centre national de la recherche scientifique (CNRS). The authors are grateful to Ms. Amandine Durand-Terrasson for TEM imaging at CERMAV and fruitful discussions.